In the spring of 2008, a think tank of engineers, designers, trend researchers, and financial experts met on a factory floor of BMW's parent plant in Munich to rethink mobility for a world of dwindling resources. Providing extensive insight into BMW's workshop of ideas, this volume traces the venture's design history and looks to the future of sustainable cars. Grappling with major challenges of our time--from climate change to megacities and the scarcity of resources--contributors imagine solutions taking shape through technological innovations, networked mobility, sustainability in production, and the use of renewable materials. A unique look behind the scenes, this volume opens a window onto BMW's complete development process, from initial conception to world premiere, presenting models for everything from plug-in hybrids with eucalyptus wood interiors to full-electric, self-driving cars. 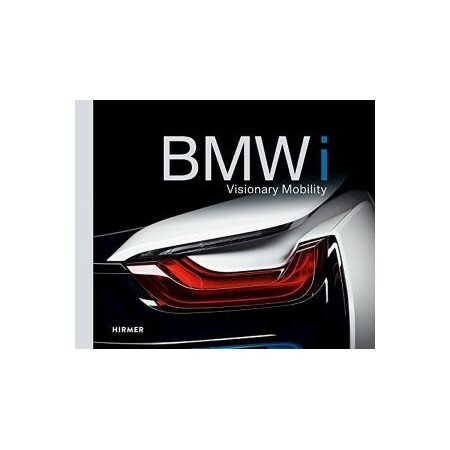 Replete with close-up photographs and fascinating model drawings, BMW i is a must-have for lovers of modern design and automobiles and for anyone interested in electro-mobility and sustainable technologies. Andreas Braun is a Munich-based art historian and curator at the BMW Museum.